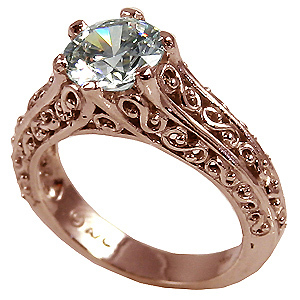 Stock #A204R:14K Rose Gold Antique style Filigree Solitaire Ring. This Gorgeous russian CZ is more precisely cut & polished of the best CZ quality available... VERY NICE HEAVY RING. Matches A208R.